The Qataris are now the largest shareholder in British Airways' parent company. Qatar's European asset shopping spree isn't showing any signs of slowing down. State-owned Qatar Airways has bought a 9.99% stake in International Airlines Group (IAB), the holding company formed in 2011 through the merger of British Airways and Iberia. The shares appear to have been bought piecemeal on the open market, which caught analysts napping. Qatar Airways said the purchase, which is worth £1.1bn at current prices and makes it the largest shareholder in IAG, was 'part of efforts to enhance operations and strengthen existing commerical ties' between them. Both airlines are already part of the Oneworld Alliance, collaborating on ticketing and transfers, and have codesharing agreements where they each market the same flights under their respective brands. Akbar Al-Baker, Qatar Airways' boss, said it 'represented an excellent opportunity to further develop our westward strategy', while his IAG counterpart Willie Walsh said he's 'delighted' to have Qatar Airways as an investor, and saw opportunities 'to work more closely together and further IAG ambitions as the leading global airlines group'. While those two get a room, let's look at what the real reasons behind this purchase might be. Yes, there are opportunities for both firms from closer relations, especially as Middle Eastern hubs become more and more important within global aviation networks. But close relations don't require investment, and Qatar doesn't part with a billion pounds for the sake of goodwill alone. The gulf state has been buying huge quantities of European assets in recent years, mostly through its sovereign wealth fund, Qatar Investment Authority (QIA), which is estimated to have $170bn (£111bn) under management. The idea is to hedge against the economy's overreliance on oil by investing the vast proceeds from oil into other industries, which seems quite smart given what's happening to the price of the black stuff right now. The QIA is especially keen on British assets because they offer stability and rigorous legal protections and because the UK doesn't restrict foreign purchases of high profile companies in the way many other countries do. The QIA now owns Harrods, the Shard and now Canary Wharf, and has stakes in Shell, Barclays and Heathrow Airport. What next - the Crown Jewels? Qatar Airways, which is also owned by its sovereign wealth fund, is currently unable to own more than 10% of IAG, as EU ownership rules limit non-EU ownership to 50%. The airline did say it 'may consider increasing its stake over time' if more non-EU owned shares become available, though it has no plans to do so now. The share purchase appears to be a pretty decent investment, although it would have been better five months ago - IAG's shares have risen 75% since August to 564p, though they've stayed steady on today's news. It must be refreshing for the Qataris to own assets that benefit so much from cheap oil. Walsh will probably hope this Qatar Airways business will distract from the way Aer Lingus has pushed has pushed IAG's takeover offer way up to €1.35bn (£1bn), and the backlash over the group's Avios rewards scheme. Folks have expressed their anger on Twitter over changes that reward business and first class passengers, but hurt those in economy. 'To better reward the 1% at the expense of the 99%, today BA announced changes to #Avios, its frequent flier program', said one 'tweep'. 'Good news for #easyjet,' added another. 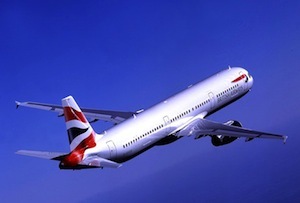 It may not have gone down well with economy class customers, but it's probably a smart move for IAG. They make their money in business and first class. Those who fly first class all the time probably won't bother cashing in their extra air miles, but those who occasionally fork out for a better seat may now get a taste for the high life, becoming repeat customers. Besides, maybe IAG needs to incentivise these passengers, to avoid them defecting to new, luxury Middle Eastern carriers, like Qatar Airways.